In a birch forest in interior Alaska’s Tanana Valley, there’s a stake with pink plastic tape attached. More than three decades ago, a plane flew over it to take stereoscopic pictures of the surrounding plot, and scientists trekked out to survey the trees and vegetation. 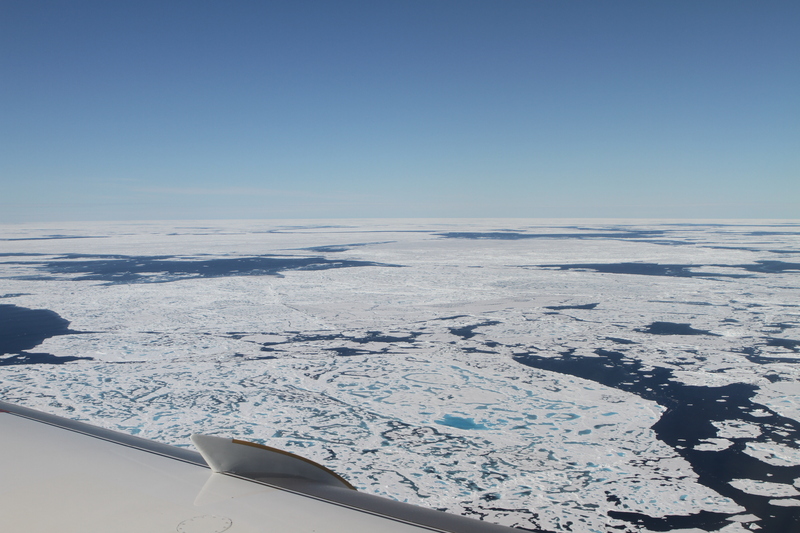 Now, scientists are re-flying and re-surveying the site, using advanced airborne instruments and satellite images to track changes in interior Alaska. 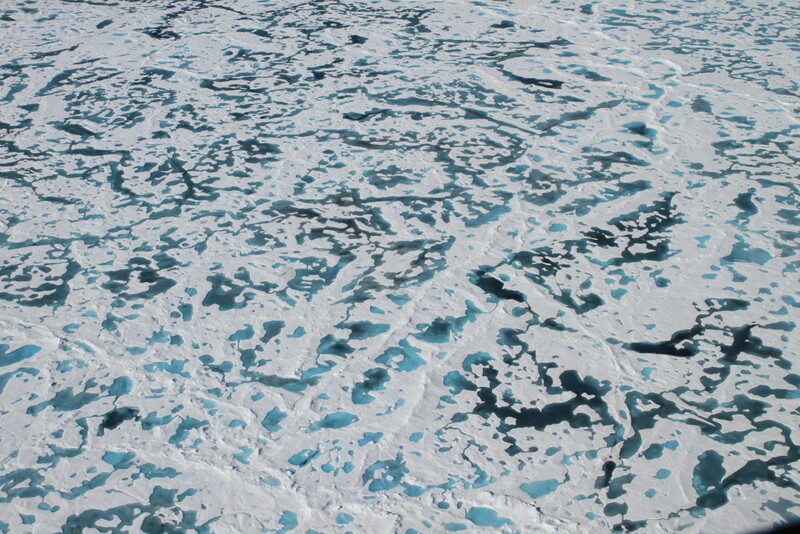 “This is going to be 10.3,” called out Sean Cahoon, a scientist with the University of Alaska, Anchorage. 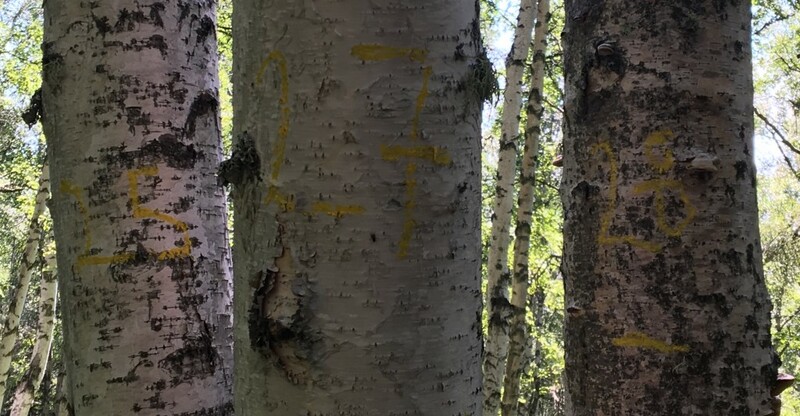 He was standing at the end of a tape measure radiating out from the stake, using another tape measure to check the diameter of the base of a birch tree. Kate Legner, with the University of Washington in Seattle, recorded the number as well as the diameter at breast height, the distance from the stake, and the azimuth (angle from due north) of the tree’s location. “That’s all you need to recreate this whole area,” Legner said. The area in question is a circle with a 53-foot radius out from the stake. Mostly birch, with a few aspen and white spruce trees, just sparse enough to let some sun filter through to shrubs, seedlings, moss and lichens thick on the ground. The recreation of this and other plots in the Tanana Valley is a key part of the NASA-funded Arctic Boreal Vulnerability Experiment, or ABoVE. Scientists will compare ground surveys to surveys from 35 years ago, along with aerial photos from similar time periods. They’ll also incorporate data from NASA Goddard’s Lidar, Hyperspectral, and Thermal (G-LiHT) airborne imager, which provides vegetation heights and composition information along sample strips throughout the valley. 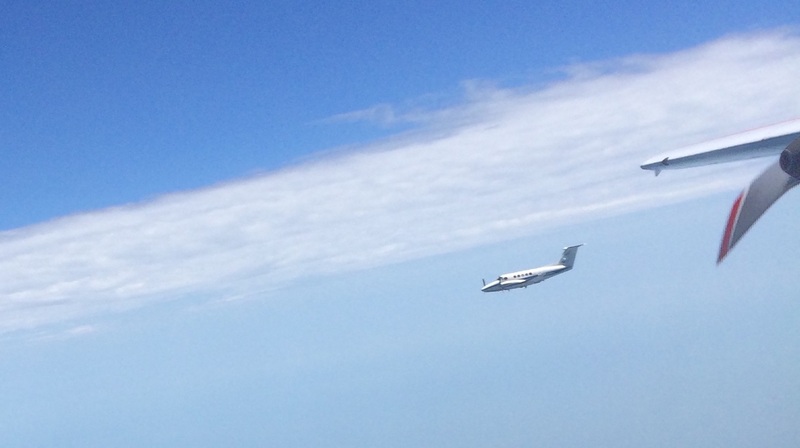 The times between these ground and airborne observations are filled by periodic image data from Landsat satellites. Landsat provides a more continuous record of change, but the coarse resolution of the data does not capture tree-scale information. The different sources of data complement each other, he said. 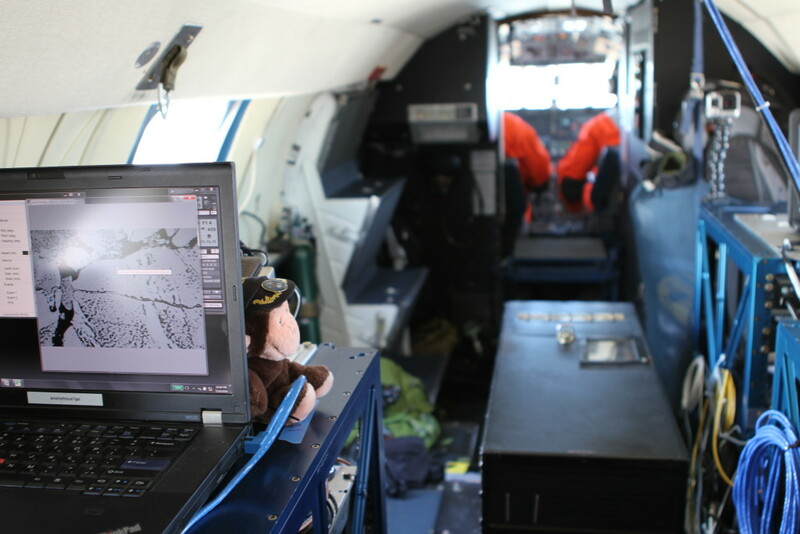 Ground surveys allow researchers to identify and count individual trees, while aerial photos can cover more ground. The strips of G-LiHT data, covering the valley and collected by NASA Goddard’s Bruce Cook, who is leading the project, provide high-resolution data of tree heights, species composition and moisture conditions of the site. Every time a Landsat satellite passes overhead and captures a cloud-free image, the team adds that to the data record as well. It’s not a coincidence that the 53-foot-radius plot matches up with a single Landsat pixel, Andersen said. 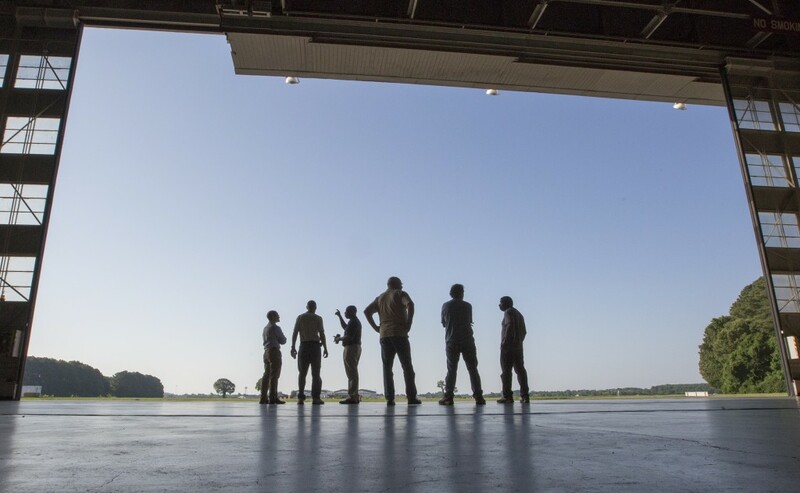 And it’s not just tree composition that the crew is interested in. 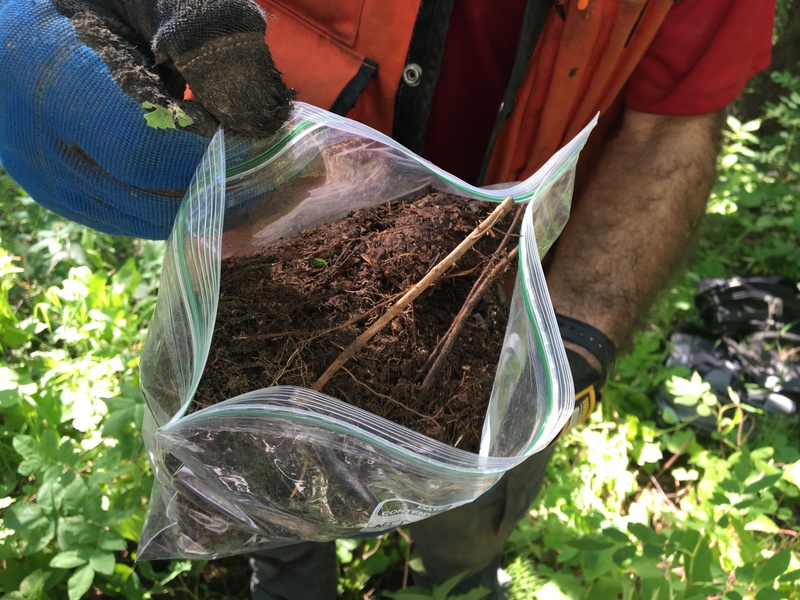 As Legner and Cahoon were measuring and marking trees, Andersen and the fourth member of the survey crew were nearby digging a hole, collecting soil samples in plastic zippered bags. This summer, the crew is refining their field sampling protocols and investigating “road-accessible” sites. The birch site was a half-mile scramble up a hillside covered in prickly bushes and thick shrubs, with fallen trees and branches providing additional obstacles. Next year, the crew will use helicopters to get to even more inaccessible sites across the Tanana Valley. 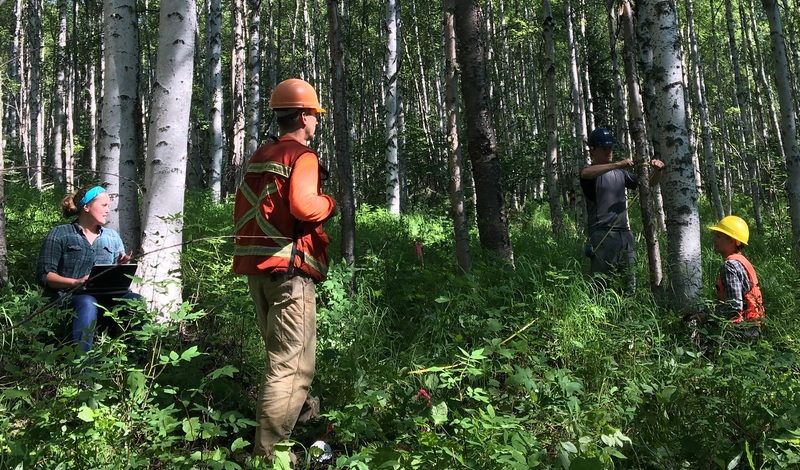 They’ll survey about two dozen representative sites, measuring trees, soils and other sources of carbon, with the goal of making computer models to relate those findings to sites across the valley. “The end product is essentially an estimate of carbon in various places across the entire Tanana,” Andersen said. 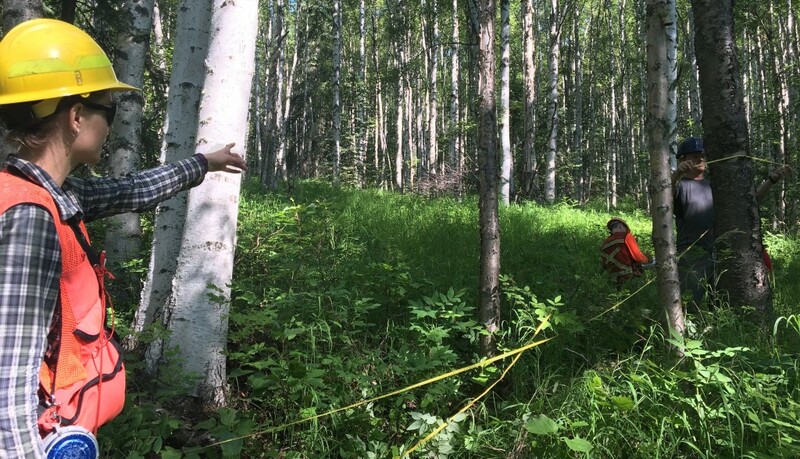 Scrambling up the bank of the Tanana River south of Fairbanks, Theresa Hollingsworth was looking for examples of how the forest recovers after a wildfire. She found an unexpected sweet surprise. “Blueberries!” she yelled from the banks. 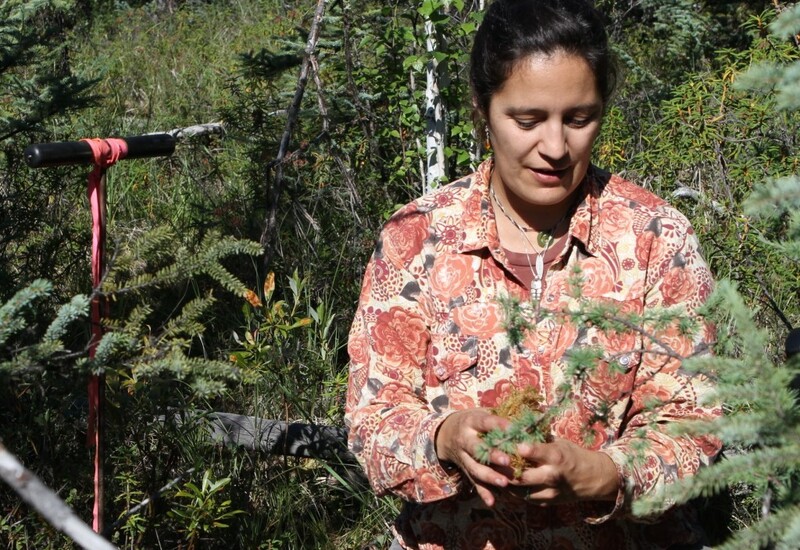 It’s a way of life for many Alaskans, said Hollingsworth, a research ecologist with the U.S. Forest Service’s Pacific Northwest Laboratory. People have favorite—often secret—berry spots they go back to year after year. 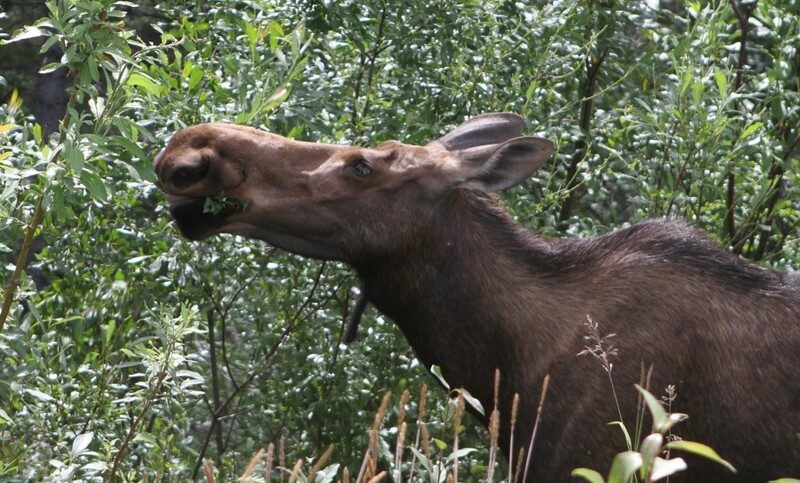 They also hunt and fish, stocking freezers with moose and salmon and other game. For many Alaskans, summer is time to stock freezers with blueberries. 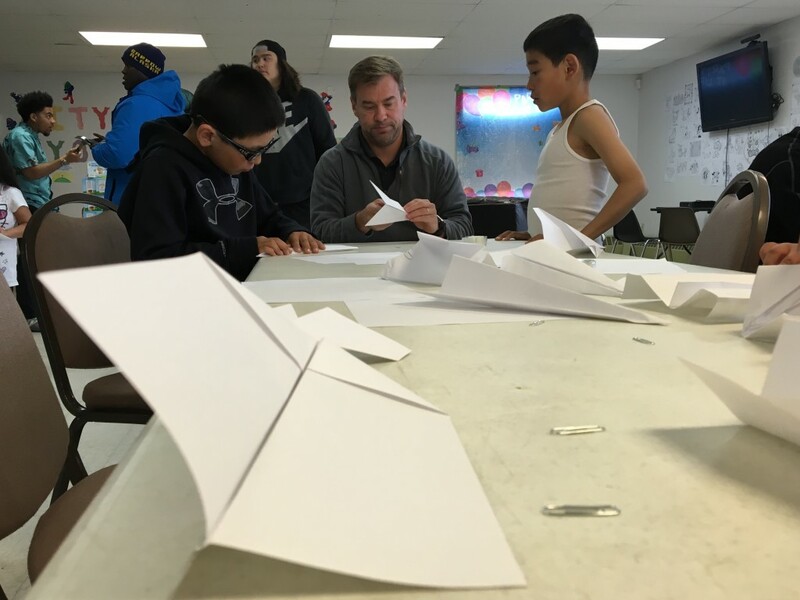 Many of the rural villages in this giant state—more than twice the size of Texas—aren’t connected with roads, said Todd Brinkman, an assistant professor at the University of Alaska, Fairbanks. But many residents are reporting that the changing environment is creating obstacles to how they reach these resources. 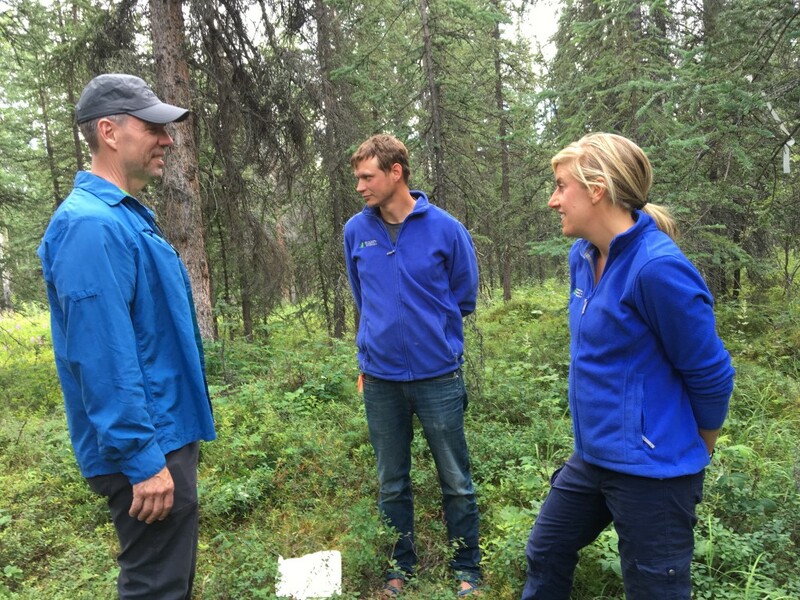 So Brinkman and Hollingsworth are working on a research project with the NASA-funded Arctic Boreal Vulnerability Experiment, or ABoVE, to investigate how access to game, berries, and neighboring villages is changing in a warming climate. 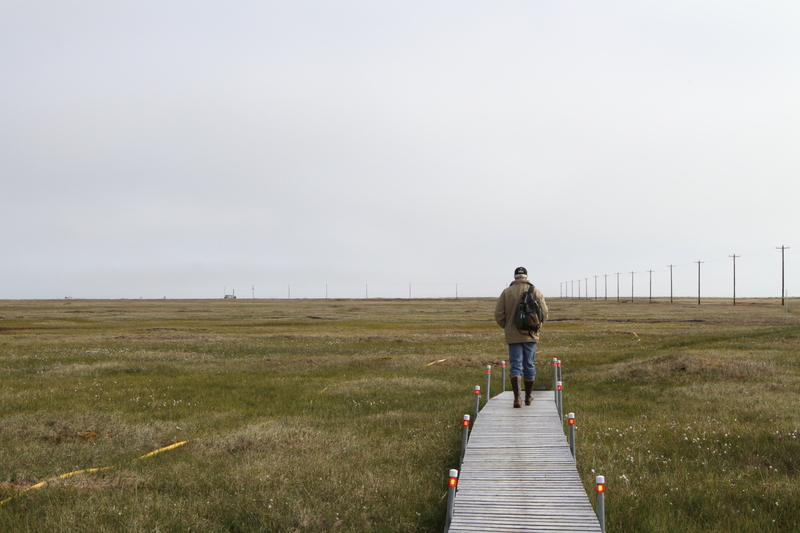 In March, Brinkman gave camera-equipped GPS units to subsistence hunters in eight or so villages across Alaska. Over the next year, the residents will document anything that blocks or hinders their travel, whether it’s an early thaw of river ice, a wildfire, a trail sunk by thawing permafrost or something the researchers haven’t yet thought of. “We’re letting the subsistence users really drive the research,” Hollingsworth said. 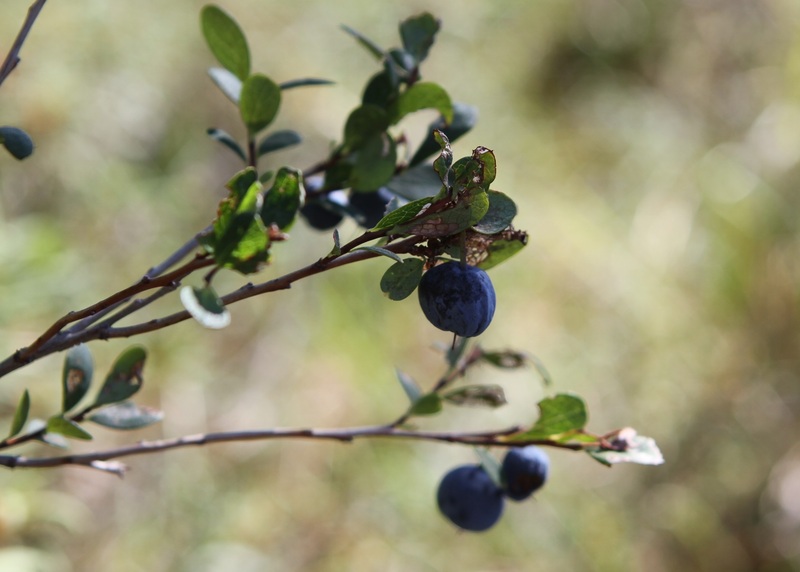 In one area, for example, women were wary of collecting blueberries in their traditional spot, since a wildfire had torn through and left dead trees in danger of toppling over. Wildfires can also change the types of plants that grow back, which in turn could impact the wildlife as well as the people living nearby. Rural residents have also noted changes to the rivers, Brinkman said. People boat along rivers in summer and use them as a snowmachine trail in winter, but the in-between periods while the ice is breaking up or forming make travel incredibly difficult. If a warming climate means early ice break-up, it’s significant to people who depend on that river, he said. The character of some rivers is also changing. 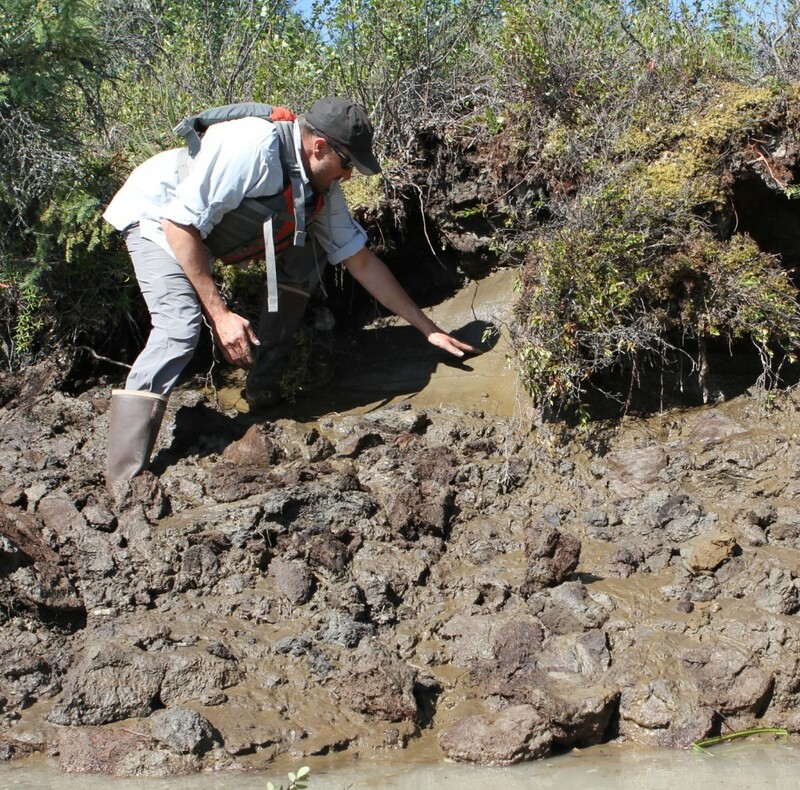 Residents are noting that the permafrost in the banks is thawing, leading to erosion. More erosion means wider rivers, which also means shallower rivers. “Where the permafrost is exposed, it’s challenging navigating on a lot of these river systems,” Brinkman said. The Tanana River south of Fairbanks, Alaska. For many rural residents, rivers are an important transportation route. After a year’s worth of these disturbances are recorded, Hollingsworth and others will examine the sites. They’ll analyze remote sensing images, including those from Landsat satellites, for before-and-after comparisons. They’ll visit the site, inventory the ground cover and trees and take soil samples and other measurements to get a sense of what is happening with the ecosystem. The researchers can also use remote sensing images to relate changes to access in one place to changes that could be happening in similar ecosystems. On a clear day from atop a 100-foot tower on a peak north of Fairbanks, you can see 100 miles in every direction. The rolling hillsides are covered in black spruce, white spruce, some birch, with shrubs and moss beneath them. For Chip Miller, deputy science lead for NASA’s Arctic Boreal Vulnerability Experiment, or ABoVE, it’s an unmatched view of the region’s carbon. 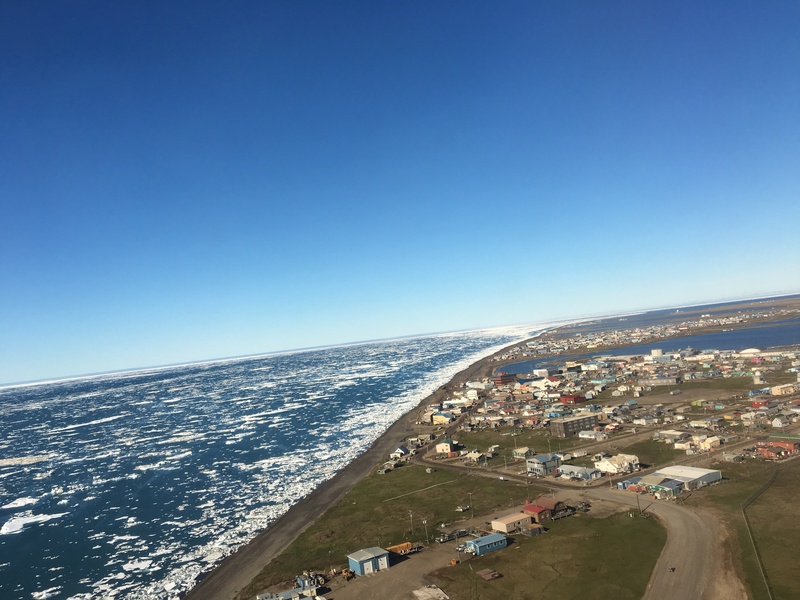 The ABoVE field campaign is studying how Alaska and northwest Canada are changing in a rapidly warming climate. 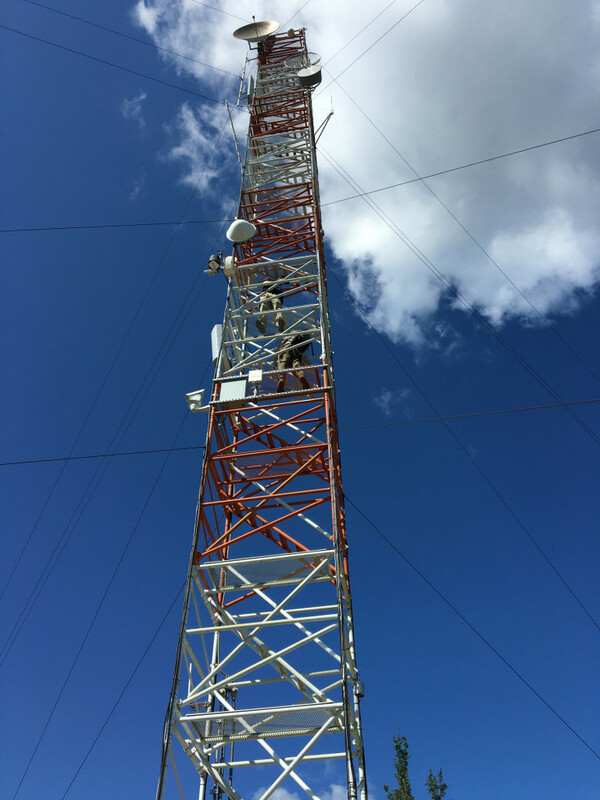 On the hot Wednesday morning of July 13, Miller checked in on the tower that has played a key role in tracking the changes in greenhouse gases since 2011. Instruments on the tower, which is operated by the National Oceanic and Atmospheric Administration, measure the amount of carbon dioxide, carbon monoxide and methane in the air. The tower measures gases that drift in from as far away as Canada and the Brooks Range in northern Alaska. Carbon dioxide is the most important greenhouse gas that’s exchanged between the atmosphere and the vegetation on the ground, Mlller said. Methane is a potent greenhouse gas that is released from wetter ecosystems. Carbon monoxide is a key product of wildfires and so helps scientists detect when a burn is releasing the carbon stored in forests into the atmosphere, he said. While 2016 has so far not been a big fire year for interior Alaska, last year about 5 million acres burned, he said, noting that large fires could send smoke billowing across the landscape. “The acrid quality of the air would make a heavy pollution day in Los Angeles or Beijing look like nothing,” he said. 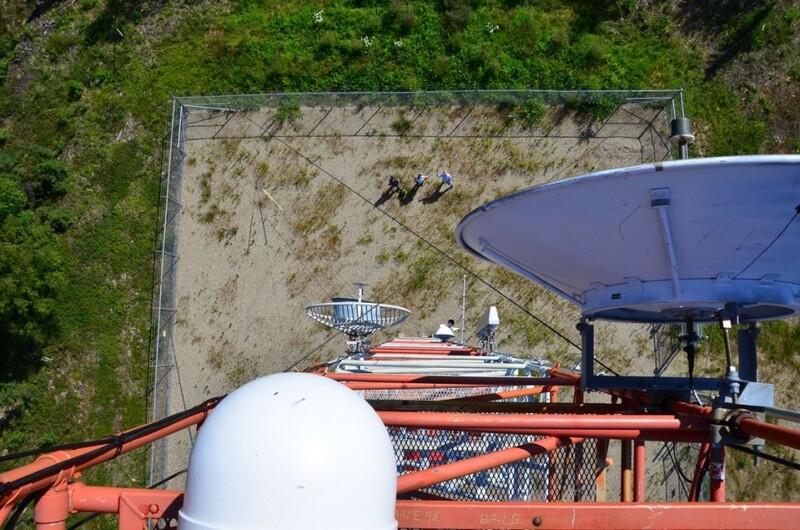 Since the tower started collecting measurements, Miller and his colleagues have been analyzing the data. They can identify individual fire plumes that drift toward the tower. And when they compare measurements year to year, they’ve found that there’s a lot of variability year to year in carbon dioxide—but not necessarily of the methane. With more than three dozen research groups scattered across 2.5 million square miles of Alaska and northwest Canada, somebody’s bound to need some last-minute chicken wire. 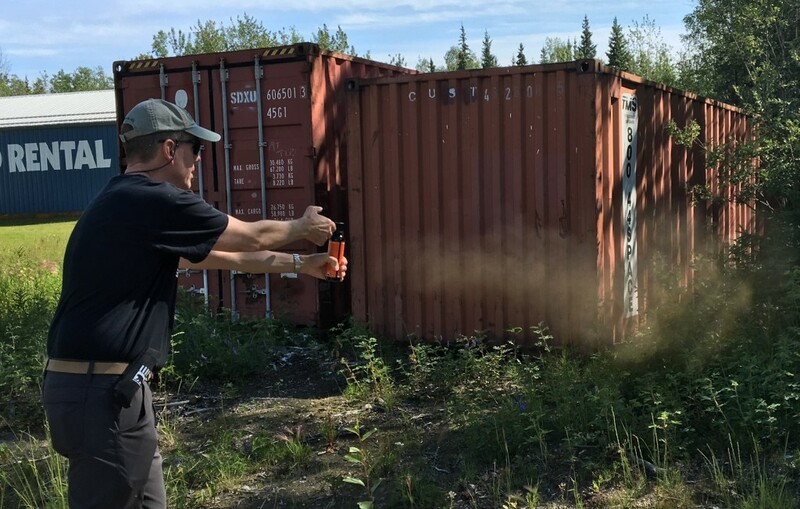 When one group with NASA’s Arctic Boreal Vulnerability Experiment, or ABoVE, discovered that Arctic hares were nibbling into their experiments, Sarah Sackett, the Fairbanks ABOVE logistics coordinator, made sure they got the protective equipment they needed. Sackett’s role in ABoVE starts early on in a team’s field season. She provides safety and logistical support to researchers, works with them to identify what kinds of hazards they might run into and what specific training they need, from bear safety to proper handling of an off-road vehicle to the need for hydration even in the cold. 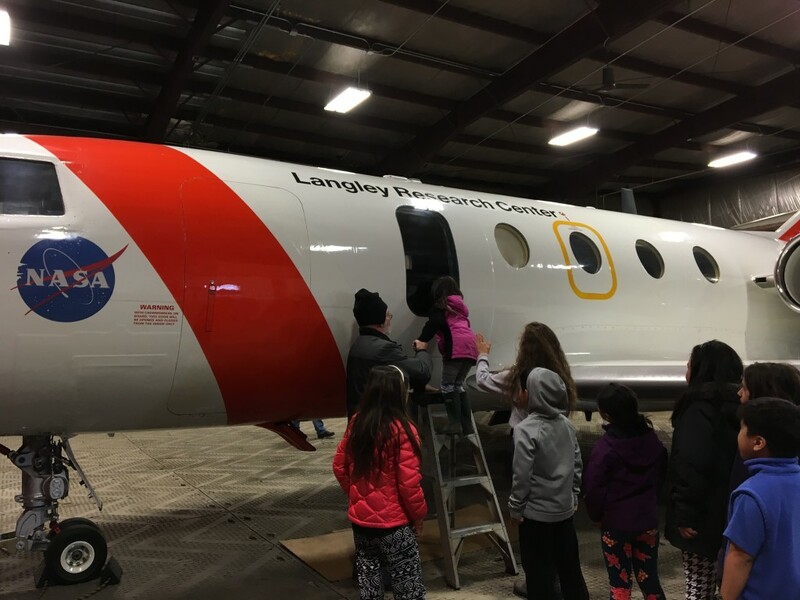 “We start training with the very basics, because we might have graduate students from New York, brand new to the field, all the way to people who have been out in the Arctic field for years,” said Sackett, a Fairbanks native. 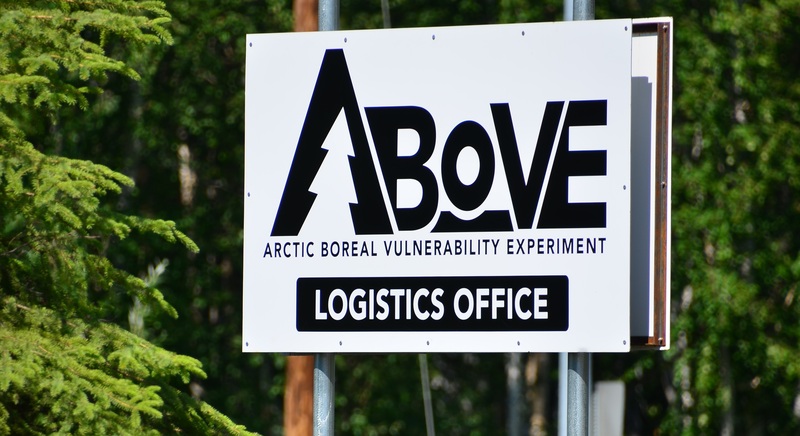 At ABoVE’s new office in Fairbanks, Sackett and the logistics team is building a lending library of equipment: tents, satellite phones, cooking equipment, tarps, rain boots, mosquito nets, even high-tech GPS units that can locate a remote spot to a fraction of an inch. 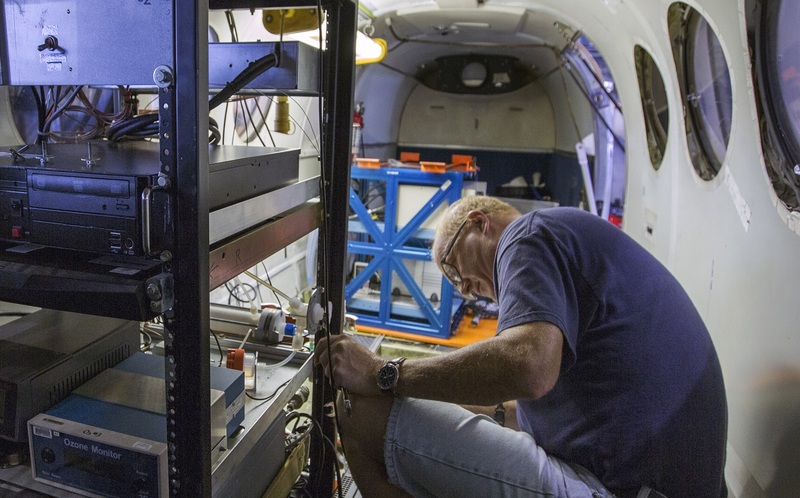 ABoVE is a decade-long field campaign, and having stocked shelves of equipment for researchers to check out as needed will be convenient and cost-effective for the effort. 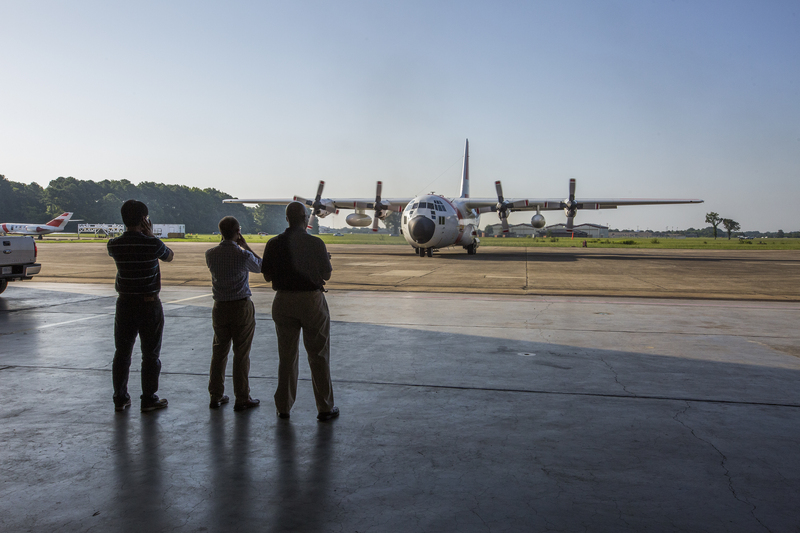 In addition to providing needed hardware to researchers, Sackett helps with logistics, from flight arrangements to truck rentals. She works closely with Dan Hodkinson and Leanne Kendig back at NASA’s Goddard Space Flight Center in Greenbelt, Maryland, who are key to the effort, Sackett said. And as she’s handling the planning and organizational side of the job, she’s learning how to do the science as well. 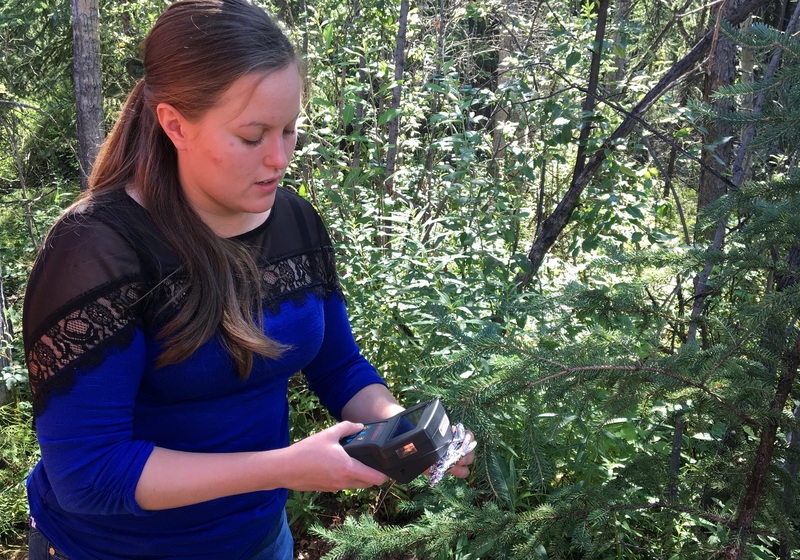 One researcher trained her how to use a device to take measurements of needles of a spruce tree. 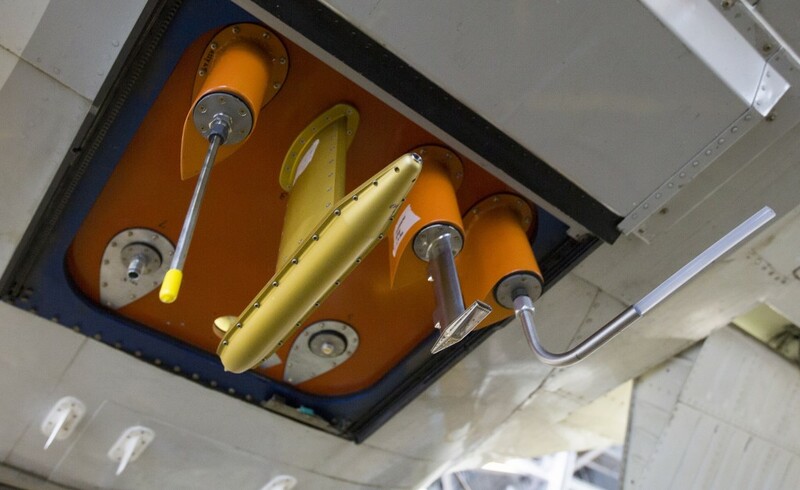 Now she will go up monthly to collect and download the data, saving the out-of-state researchers a long trip. “I was hoping that’d be part of the job,” Sackett said, noting that she won’t look at trees the same way again. While she’s excited to help with more of the field experiments in the future, she also loves working with the teams to solve problems and ensure they can do their work in often-difficult terrain and harsh conditions. On Monday, July 11, as the green shuttle bus stopped at a campground to pick up drenched passengers, a murmur spread. Fingers pointed out the left side of the window, necks craned, binoculars raised to eyes and sure enough, there they were—three Dall sheep perched on a craggy ledge, far above the road in Denali National Park. 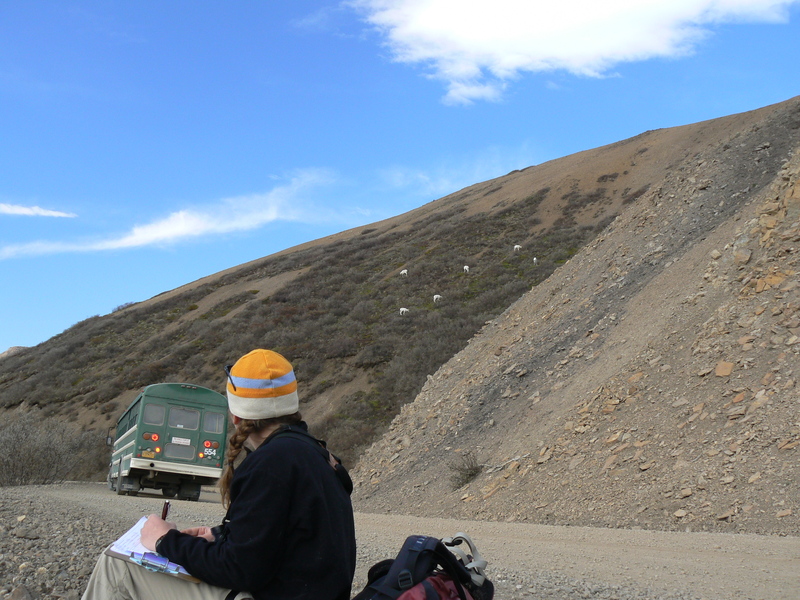 What many on the bus might not realize, said Bridget Borg, Denali wildlife biologist, is that those animals spurred the formation of the park 99 years ago. Concerned that market hunters were killing too many sheep to sell to Alaskan miners, Charles Sheldon led the charge to protect Dall sheep and their habitat. And they’re the subject of one of the research efforts in the NASA-funded Arctic Boreal Vulnerability Experiment, or ABoVE. 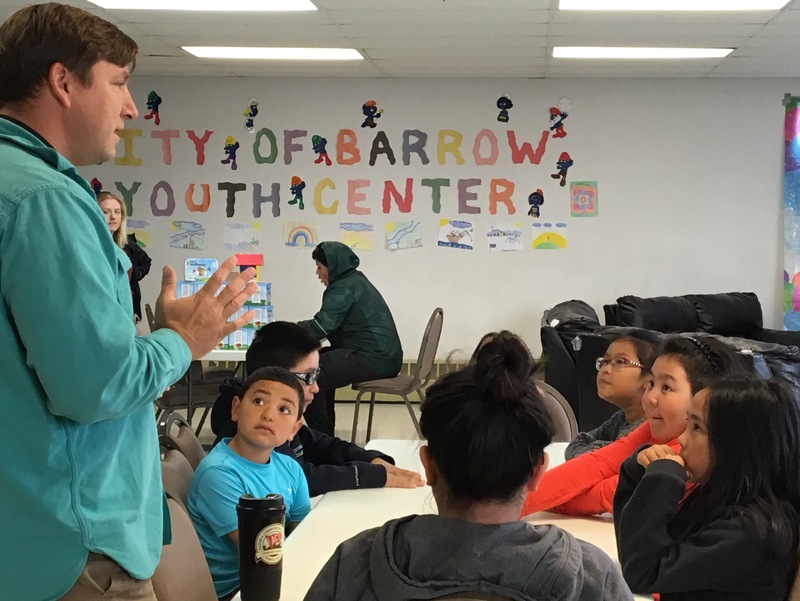 The ABoVE campaign is looking at changes in Alaska and Northwest Canada in a warming climate, including changes to wildlife species and their habitat. 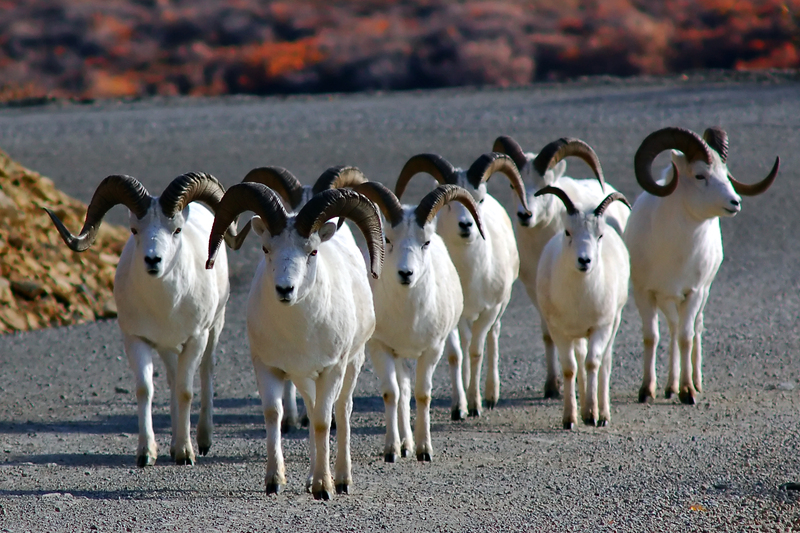 Borg and colleagues across Alaska and Canada are surveying sheep as a part of a project led by Laura Prugh, of the University of Washington, to examine how changes to snow cover and vegetation at high elevations are impacting Dall sheep. “We’re one aspect of a really big project,” Borg said. 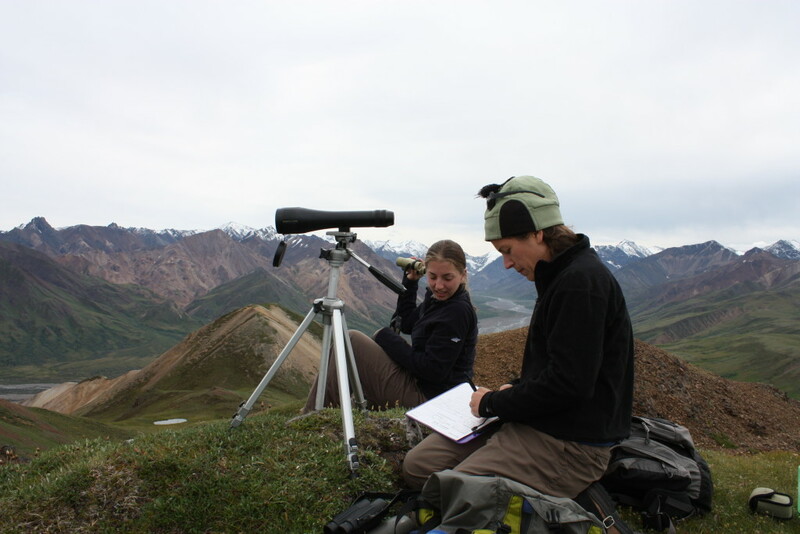 She and her colleagues at Denali conduct two types of sheep surveys: aerial surveys to estimate the population numbers (current count is about 2,000 in the park), and ground surveys to see how many ewes give birth to lambs in a given year. In the summer, the biologists have a pretty easy time of spotting sheep for the ground surveys, she said. 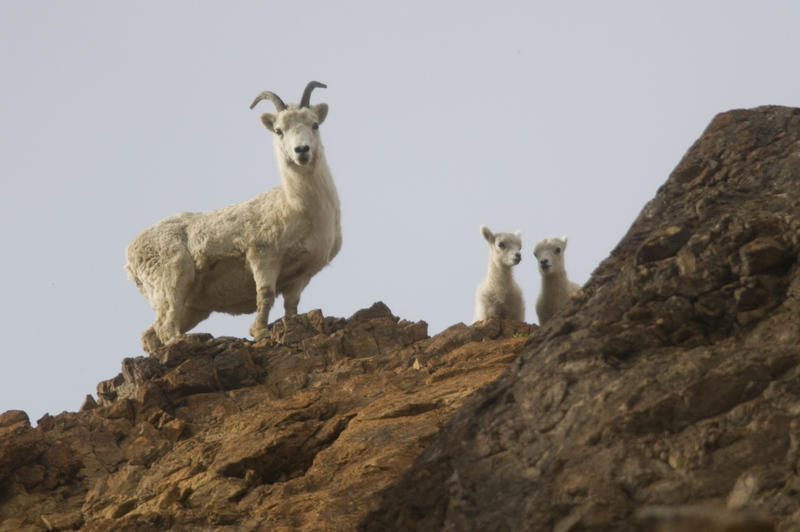 They hike up from the park road to get a view of good sheep habitat—rocky areas where predators can’t climb—and then look for white spots amongst the grey rocks. It’s a little harder in the late spring, she noted, when the snow has melted into sheep-sized patches on a mountain. Shiny rocks can trick visitors on the bus into yelling out a sheep-sighting as well. When the researchers spot sheep, they train a spotting telescope on the area and count the lambs, ewes and rams. They estimate the rams’ ages based on the completeness of the horn curl, and watch an area for a while to make sure they didn’t miss any lambs. Lambs are quite good at hiding behind their mom, Borg said. The lamb-to-ewe ratio is a good indication of the health of the population; a ratio of 30 lambs to 100 ewes is reasonable, she said, but for a few years recently that number was down around 10 lambs to 100 ewes. “We noticed a decline in productivity—it’s really prompted some questions going forward,” Borg said. With ABoVE, she hopes to address some of those questions. The sheep study group will use remote sensing maps of snow cover, as well as computer models, to study how that can impact population health. They’ll also look at whether shrubs growing higher and higher in elevation, up into rocky sheep habitat, affects the populations. “Shrubs are moving up the slope, and the sheep really need those rocky slopes, both for the forage and the escape terrain,” Borg said. Warmer temperatures could also be changing the quality of the forage available to sheep. A National Park Service helicopter lifted off Sunday morning, July 10, flying past dark clouds and green mountain slopes on a 20-minute trip deep into the Denali National Park wilderness. On board are researchers and lots of gear, from shovels to plot markers to food and water for a week. The destination: a plot of tundra charred by a wildfire in 2013. Ecologist Xanthe Walker and her crew will sample the remaining soil, looking to see if the fire burned through carbon that had been stored in the ground for centuries. “The tundra’s not supposed to burn like that,” said Brian Howard, a PhD student at Northern Arizona University in Flagstaff. “Which is why we want to study it,” said Walker, a postdoctoral researcher at the university. 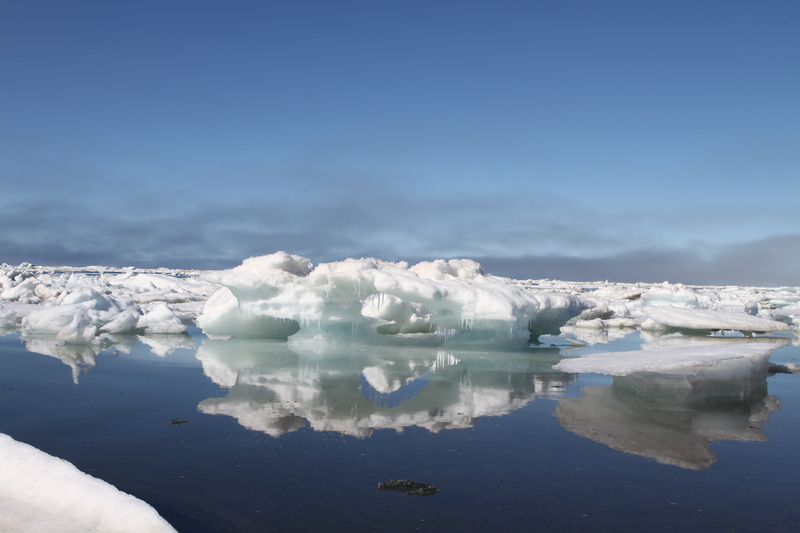 Their study is part of the Arctic Boreal Vulnerability Experiment, or ABoVE, a NASA-funded, decade-long effort to go into the field in Alaska and Northwest Canada to answer questions about this key region. It’s not necessarily an easy laboratory to work in, though. 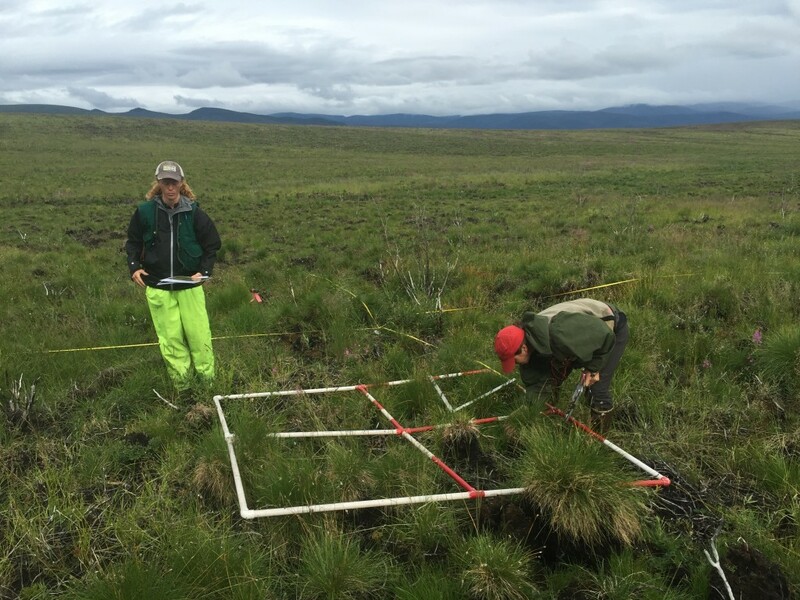 Walker’s field site isn’t a flat, squishy moss terrain—there are knee-high mounds of tussock grass, sticking up over mucky burned soils. It was rainy a week or so ago when the group went to sample sites, and there is a rainy forecast for the week ahead. The computer screen will come in the fall, when she analyzes the measurements gathered this summer not just in Denali, but at similar sites farther north in Alaska as well as Canada’s Northwest Territories. 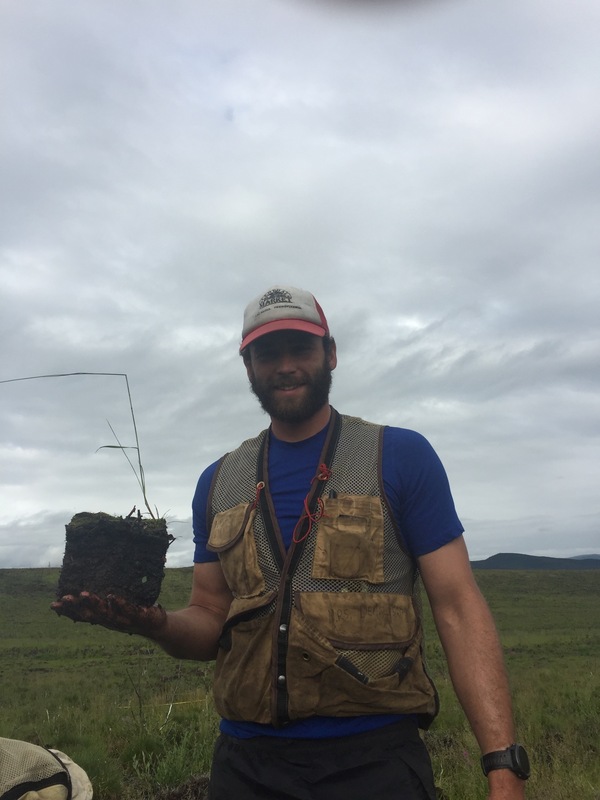 Walker and the project’s principal investigator, Michelle Mack, are asking the question: As the climate gets warmer, and summers get hotter and drier, are fires in the tundra becoming more severe and releasing carbon long stored in the ground? 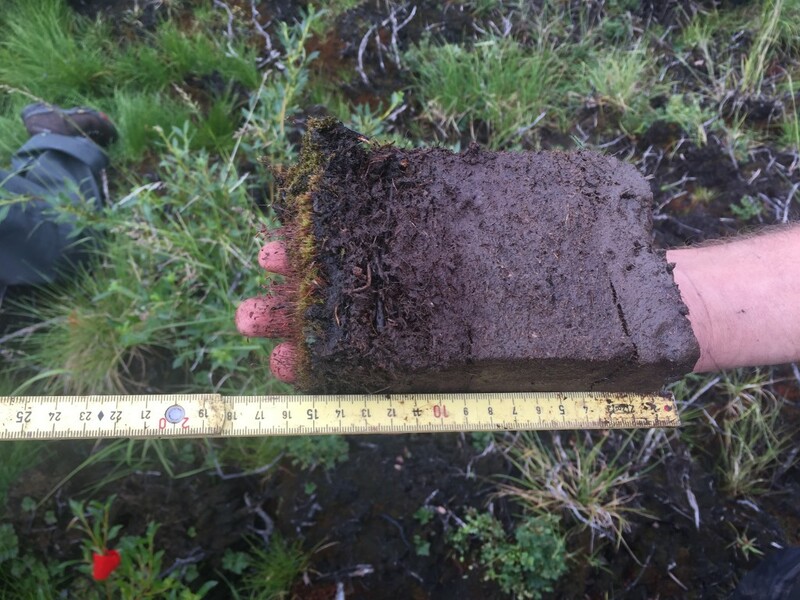 The tussock tundra soils in her Denali sites are basically layers of moss—live moss, on top of slightly decayed moss, on top of more decayed moss. This moss in varying stages of decay can be a foot deep in places. While fires decades ago might have just burned the top layers of moss, leaving the lower, often-frozen layers intact, Walker is testing whether more recent fires go deeper. “That’s an indication that the fires are releasing much more carbon into the atmosphere than they used to,” Walker said. To find out, she’s taking soil samples, wrapping them up in tin foil, packing them in one of the six coolers that will be full by the end of the week, and driving them back to the lab for radiocarbon dating. Howard is also studying not just the soils, but also what’s growing back after a fire, from mosses and lichens to trees. In the early 2000s, the National Park Service did a survey of the 50 sites the team is studying, so they have records of what the site was like before the 2013 fire to compare with this summer’s data. “What’s interesting about these plants is they weren’t the plants that were there before a fire came through,” Howard said. Burning up more soil, and a warming temperature, could mean different grass, shrub or tree species popping up in the Arctic tundra. That’s what he’s trying to find out.